Gig Harbor home sales follow western trend Nationally home sales rose 21% and in the West 10% in October, compared to a year ago. 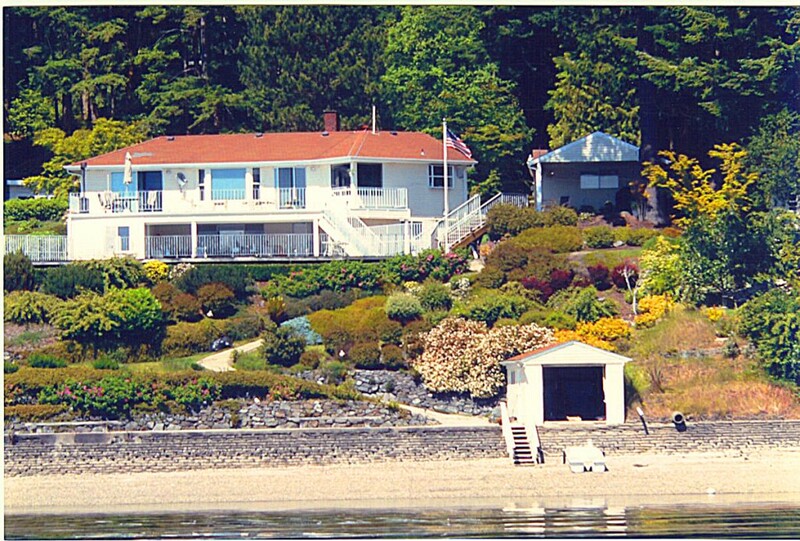 Gig Harbor home sales were up slightly less--8% from 2008. These numbers are certainly an improvement but October 2008 was a sobering sales month after the financial crises of AIG, Lehman, and others. November 2008 was even worse but this year Gig Harbor home sales are on track to beat 2008 by at least 25%. The median price is up in 98333 and 98335 from September, an improvement from the year-over-year figures. We are cautiously optimistic we have reached the bottom for prices for Gig Harbor home sales as we are seeing some higher price sales currently. Another month of similar figures and we might call it a trend. Here are current trends for the three zip codes constituting Gig Harbor. Inventory is down across all three zip codes. Fewer homes on the market equates to upward price pressure for Gig Harbor home sales. In zip 98335 where inventory shows the biggest decrease, the ratio for 12 months of sales compared to current inventory is 87%, but in Fox Island the ratio is 52%. This is largely explained by more higher-priced homes-view and waterfront-on the island. Sales are up 8% across the board for the year but down 35% from September, not surprising going into winter. The gain in 98332 represents Canterwood breaking out of the doldrums as well as homes selling for $350-400,000, including four builder's houses with multiple offers in short sale conditions. The "sweet spot" for Gig Harbor home sales currently is pending contracts not yet closed, listed between $300-400,000 in Gig Harbor North and Arletta/Artondale. For the most part, these are 2600-2800 square foot homes built between 1992 and 1998. In Gig Harbor, as the nation, foreclosures and other distressed homes in the lower end of the price spectrum still accounted for a large percentage of Gig Harbor home sales. This is a drag on the median price which is down about 38% from the 2005 peak in the West but up 8% from the bottom last spring. Buyers, waiting for the bottom, should consider ramping up their home search, as the inventory of certain price range homes is very slim locally. With the expanded $6500 credit incentive for existing homeowners who have lived in their home for at least five years, and interest rates under 5%, the time to buy could be NOW. Carole Holmaas is an Associate Broker at Windermere Real Estate, licensed since 1967. She may be reached at 253.549.6611 or Carole@ISellGigHarbor.com. Her blog is posted at http://blog.ISellGigHarbor.com. Nationally home sales rose 21% and in the West 10% in October, compared to a year ago. Gig Harbor home sales were up slightly less--8% from 2008. These numbers are certainly an improvement but October 2008 was a sobering sales month after the financial crises of AIG, Lehman, and others. November 2008 was even worse but this year Gig Harbor home sales are on track to beat 2008 by at least 25%. The median price is up in 98333 and 98335 from September, an improvement from the year-over-year figures. We are cautiously optimistic we have reached the bottom for prices for Gig Harbor home sales as we are seeing some higher price sales currently. Another month of similar figures and we might call it a trend. Here are current trends for the three zip codes constituting Gig Harbor. Inventory is down across all three zip codes. Fewer homes on the market equates to upward price pressure for Gig Harbor home sales. In zip 98335 where inventory shows the biggest decrease, the ratio for 12 months of sales compared to current inventory is 87%, but in Fox Island the ratio is 52%. This is largely explained by more higher-priced homes-view and waterfront-on the island. Sales are up 8% across the board for the year but down 35% from September, not surprising going into winter. The gain in 98332 represents Canterwood breaking out of the doldrums as well as homes selling for $350-400,000, including four builder's houses with multiple offers in short sale conditions. The "sweet spot" for Gig Harbor home sales currently is pending contracts not yet closed, listed between $300-400,000 in Gig Harbor North and Arletta/Artondale. For the most part, these are 2600-2800 square foot homes built between 1992 and 1998. In Gig Harbor, as the nation, foreclosures and other distressed homes in the lower end of the price spectrum still accounted for a large percentage of Gig Harbor home sales. This is a drag on the median price which is down about 38% from the 2005 peak in the West but up 8% from the bottom last spring. Buyers, waiting for the bottom, should consider ramping up their home search, as the inventory of certain price range homes is very slim locally. With the expanded $6500 credit incentive for existing homeowners who have lived in their home for at least five years, and interest rates under 5%, the time to buy could be NOW. Carole Holmaas is an Associate Broker at Windermere Real Estate, licensed since 1967. She may be reached at 253.549.6611 or Carole@ISellGigHarbor.com. Her blog is posted at http://blog.ISellGigHarbor.com. Inventory is down across all three zip codes. Fewer homes on the market equates to upward price pressure for Gig Harbor home sales. Â In zip 98335 where inventory shows the biggest decrease, the ratio for 12 months of sales compared to current inventory is 87%, but in Fox Island the ratio is 52%. This is largely explained by more higher-priced homes-view and waterfront-on the island. Sales are up 8% across the board for the year but down 35% from September, not surprising going into winter. The gain in 98332 represents Canterwood breaking out of the doldrums as well as homes selling for $350-400,000, including four builder's houses with multiple offers in short sale conditions. The "sweet spot" for Gig Harbor home sales currently is pending contracts not yet closed, listed between $300-400,000 in Gig Harbor North and Arletta/Artondale. For the most part, these are 2600-2800 square foot homes built between 1992 and 1998. In Gig Harbor, as the nation, foreclosures and other distressed homes in the lower end of the price spectrum still accounted for a large percentage of Gig Harbor home sales. This is a drag on the median price which is down about 38% from the 2005 peak in the West but up 8% from the bottom last spring. Buyers, waiting for the bottom, should consider ramping up their home search, as the inventory of certain price range homes is very slim locally. With the expanded $6500 credit incentive for existing homeowners who have lived in their home for at least five years, and interest rates under 5%, the time to buy could be NOW. Carole Holmaas is an Associate Broker at Windermere Real Estate, licensed since 1967. She may be reached at 253.549.6611 or Carole@ISellGigHarbor.com. Her blog is posted at http://blog.ISellGigHarbor.com. 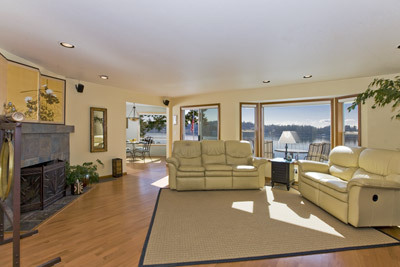 Gig Harbor WA Salt Waterfront Home for Sale at Warren. It's all about LIFESTYLE! 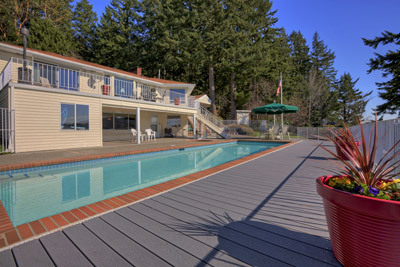 This premier 100 foot sunny southern exposure medium-lowbank waterfront offers an in-ground heated pool & spa, views reaching from Rainier to Green Pt & beyond, a 80×14 foot patio at water's edge & boathouse with winch-all on one of the nicest pebble beaches offered by any salt waterfront home for sale in the area. Add a little more-a comfortable 2500 square foot 3 bedroom home, a spacious entertaining deck, two covered patios, shop, easy access to the beach, beautiful well-maintained landscaping-all on 7/10 acre of backlands & tidelands. This is the lifestyle and you CAN have it all! Gig Harbor home sales show short sale and bank-owned homes selling in all price ranges but currently the $200-350,000 range is most active, with a few distressed properties even over $1million. Currently there is no bank-owned home listed over $1million. The large number of pending short sales among Gig Harbor home sales is indicative of the large backlog of buyers hoping the bank will agree to their price. They typically wait for weeks or maybe months to negotiate with the lender. In Western Washington these short sales are taking more than nine weeks for bank response-twice as long as a year ago. This creates constant fallout of pending sales each month as buyers get tired of waiting for bank response and write an offer on another home. Another significant factor of Gig Harbor home sales prompted by the downturn is the large quantity of vacant homes-some new homes, some foreclosed and some where the owner has already relocated. 32% of listings in Gig Harbor and 41% in Key Peninsula fit this description. Carole Holmaas is an Associate Broker at Windermere Real Estate in Gig Harbor, licensed since 1967. She may be reached at 253.549.6611 or Carole@ISellGigHarbor.com. Her blog may be read at http://blog.ISellGigHarbor.com. Bank-owned and short sale homes are striking the Gig Harbor and Key Peninsula markets with less impact than much the rest of the nation. 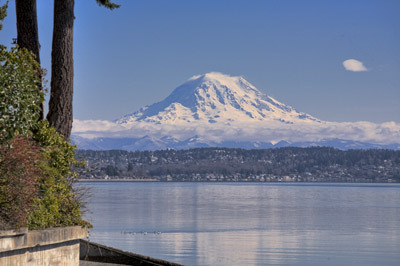 In Gig Harbor, less than 13% of all the homes listed and slightly more than 14% of sales fall into this category. In Key Peninsula, slightly more than 20% of the inventory fits this classification while sold homes are pushing 40% in the past 30 days. The Seattle/Tacoma/Bellevue area is running 17.8% of all sales but some places in the nation are running much higher-56% in Phoenix, 67% in Las Vegas and 43% in Southern California. 10.68% of the inventory but only 8% of the sales on the combined peninsulas are short sales. 4% of the inventory is bank-owned but 13% of the sales are from this group. Gig Harbor home sales show short sale and bank-owned homes selling in all price ranges but currently the $200-350,000 range is most active, with a few distressed properties even over $1million. Currently there is no bank-owned home listed over $1million. The large number of pending short sales among Gig Harbor home sales is indicative of the large backlog of buyers hoping the bank will agree to their price. They typically wait for weeks or maybe months to negotiate with the lender. In Western Washington these short sales are taking more than nine weeks for bank response-twice as long as a year ago. This creates constant fallout of pending sales each month as buyers get tired of waiting for bank response and write an offer on another home. Another significant factor of Gig Harbor home sales prompted by the downturn is the large quantity of vacant homes-some new homes, some foreclosed and some where the owner has already relocated. 32% of listings in Gig Harbor and 41% in Key Peninsula fit this description. 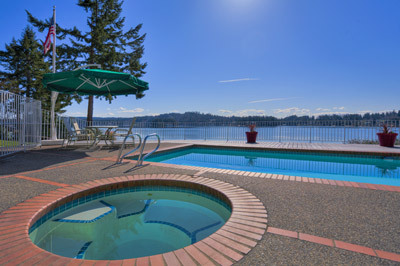 Carole Holmaas is an Associate Broker at Windermere Real Estate in Gig Harbor, licensed since 1967. She may be reached at 253.549.6611 or Carole@ISellGigHarbor.com. Her blog may be read at http://blog.ISellGigHarbor.com.